Most holiday newsletters look like the same tired Word document—and people get bored with them fast. 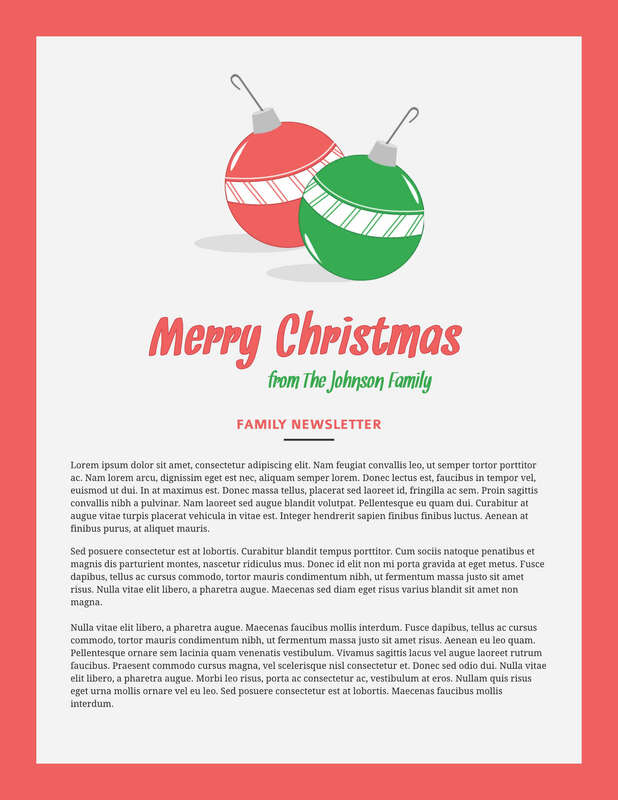 Why not use one of our professionally designed templates to add holiday cheer and style to your newsletter? Pick a holiday newsletter template and customize it to your heart’s content with our easy online editor. In just a few clicks, you'll have a newsletter that stands out from the rest. It's easy to add your own merry message and festive photos, then download or print your newsletter in a matter of minutes. You can even order prints in bulk directly from Lucidpress. No need to learn complicated design software or bother someone else to do it for you. With Lucidpress, making an eye-catching holiday newsletter is a snap. Sign up for a free account to get started today.